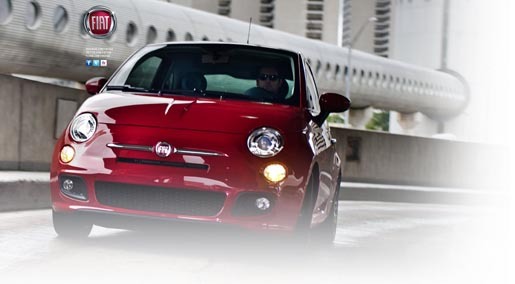 Fiat USA has released the Fiat 500 (the Cinquecento) on the American market with a fresh advertising campaign, touting passion as the hallmark of the Italian brand. The new model, revealed at the LA Motor Show, is showcased in “Passion”, a 1:49 minute commercial featuring Americans living with Italian-style passion. “Some people just live their lives. Other people take control of their lives and live it with passion.” Music is “Beautiful” by Moby. See also the Fiat USA Twitter, YouTube and Facebook pages.